I grew up in a city where wastewater is a problem. Where its disposal is a nightmare, where institutions mandated to deliver disposal services lack capacity, where everyone just looks the other way or blames someone else. How then can we achieve ambitious visions, such as improving access to water and sanitation for all? Well! Finding an answer to this question has been a drive for my current studies! It would not fit much better than the UN World Water Day, dedicated this year to ‘wastewater’! My journey to where I am and what I am doing reaches over mountains and hills, rivers and valleys! 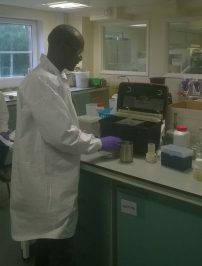 Being an MSc student in Community Water and Sanitation at Cranfield University did not come easy. I dropped out of secondary school on financial grounds, but was later offered a merit-based scholarship to complete my studies. I was selected to go to Mzuzu University for a BSc degree in Water Resources Management and Development, under government scholarship. During my second year, I was offered another scholarship (TEST for Malawi), which is something offered to needy but bright students in public universities. Since graduating in 2013, I have been working with consultancy firms on Water Sanitation and Hygiene (WASH) projects. This helped me to identify gaps in the WASH sector. Among others, was a lack of coordination among organisations and use of parallel approaches which led to low scalability and uptake of sanitation systems by the communities. There was little or no focus on behaviour change, which also affected the sustainability of the projects. Another issue that caused me concern is the wastewater released from homes, hospitals and industries that makes our cities unhealthy. Theoretically, however, I knew the principles of “Reduce, Reuse and Recycle” in wastewater. But I was not competent enough to implement them in order to harness the valuable resources from the wastewater. So I decided to return to the classroom. I can testify that this decision gave me a special and strong focus to achieve my dream. But I must admit, it wasn’t easy. 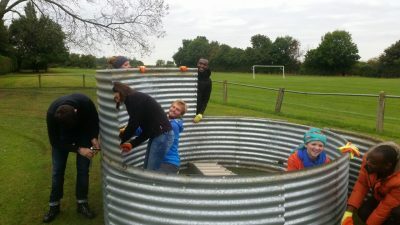 I came across several courses and Universities offering WASH programs, but the MSc in Community Water and Sanitation at Cranfield University emerged on top. And it wasn’t just the course, but the technology used in the Nano membrane Toilet that played a role too. This technology reduces the demand for water as it does not need water! It doesn’t generate wastewater as other flash toilets do, and it doesn’t produce odour, to mention a few of its advantages. It answers some of my questions on wastewater, sanitation, and hygiene. Now to talk about my experience at Cranfield University, the diversity of students’ nationalities is awesome. In our class of ten, we have eight different nationalities including Austria, Belgium, France, Ghana, South Africa, UK, USA and of course Malawi. The diversity of my class and friends allowed me to get a feel for many different countries. Having a smaller class makes it easy for lecturers to analyse each student, thereby adjusting their lessons to suite everyone. The Community Water and Sanitation MSc is such an amazing course; every academic year modules are structured to address the current problems on the ground. I am so passionate about sustainable development in developing countries and this course is exclusively designed for developing countries. With this, I feel at home, and you know what it means to do what your heart desires. Involvement of external experts, with vast field experience, from different organisations has helped in deepening my practical knowledge and building strong networks. 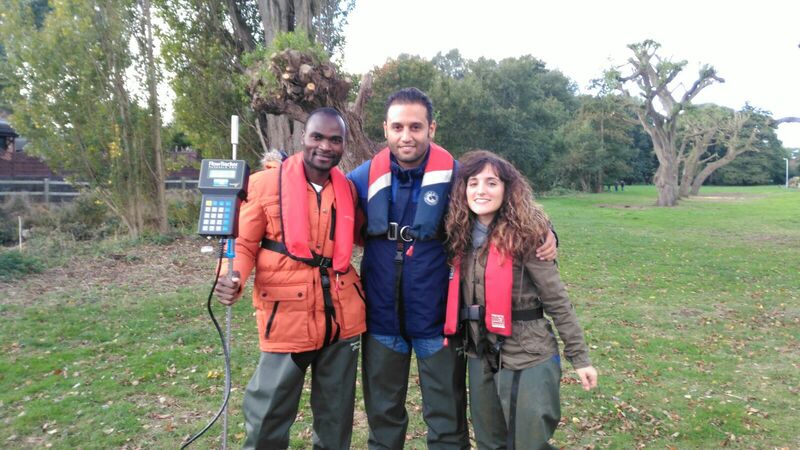 Some examples of tasks we have done include water quality testing, river flow measurements, we have built an emergency Oxfam tank and learnt how to manage wastewater in both emergency and development contexts. As I have progressed through my course I have acquired more knowledge than I expected and I expect this to continue during my thesis project and my group project which is in progress now. In our group project we are working with Sustainable Sanitation Alliance (SuSanA) on “Knowledge Management for Sustainable Sanitation”, this project aligns with my goal of working towards sustainable development. This alliance also has about 190 partner organisations, which creates another opportunity for networking. My blog will be incomplete if I don’t mention the Marshal Papworth Scholarship. I am what I am today because of the East of England Agricultural Society through the Marshal Papworth Trust. This scholarship has helped me so much; there is absolutely no way I could afford to fund my studies here without it. My academic story will always be attached to it. Long-live Marshal Papworth Trust. Finally, let’s all remember to “Reduce” wastewater produced, “Reuse” and “Recycle” wastewater for other uses like watering lawns, flushing toilets, and cooling engines. I dedicate this blog to World Water Day-United Nations-22 March; Marshal Papworth; and Cranfield University. This is so amazing Yafeti. I am really inspired. Keep it up! Great story. Wish you all the best in your studies.